Just in case you haven’t lost enough sleep, having nightmares about being dragged under by a great white. 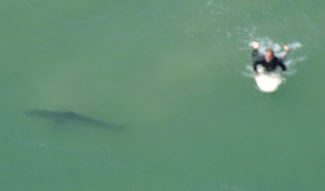 Check out this list of reports maintained by the Shark Research Committee. Fascinating website. It’s also a little spooky to read all the recent, ongoing accounts of sharks just kind of hanging out in the surf zone. The photo on the right was taken on August 24, 2010. Go to the report link above to get the details. The shark evidently had a plan. Maybe we ought to change the color of our wetsuits. Seems like there is more risk of being confused with our penniped friends than we thought. Andy Irons — What is Dengue? We were all deeply saddened to find out that one of our greatest surf brothers passed away this week. There have been rumors and confusing reports as to what really happened that would leave him at room temperature in a Dallas hotel room, where he was waiting to catch a connecting flight home. The initial, most dependable reports referred to a bout with Dengue fever that made him drop out of the Rip Curl Pro Search 2010 in Puerto Rico in the early rounds. We are not going to spread misinformation here. So, the question is — Just what is Dengue? The best way to prevent Dengue is to prevent mosquito bites. And, as I always tell my wetland management friends, the best way to prevent mosquito bites is to prevent mosquitoes. 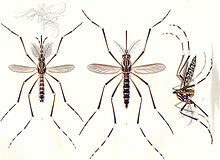 In the case of Dengue, the mosquito to look for is the Aedes_aegypti, which started in Africa, but can now be found anywhere in the tropics and subtropics. That sounds easy, but in the tropics that would mean stopping the rain that fills every nook and cranny. So, the next best method is to wear DEET and avoid the outdoors in early morning and late afternoons. Here is a link to other prevention measures. Still sound tough when you’re trying to catch dawn patrol or evening glass? Then, just keep an eye out for the symptoms and get medical help as early as possible if they show up. Andy — rest in peace. We don’t care if it was Dengue or something else. Whatever it was, it took you away far too early. You will be missed.